Puppy In My Pocket has been a favourite with young children since the 90s and this year it is returning with it's greatest collection yet. With more than 100 miniature puppies to collect, including a few ultra-rare glitter puppies, the soft flocked characters have their own name and unique bio based upon realistic dog breeds. 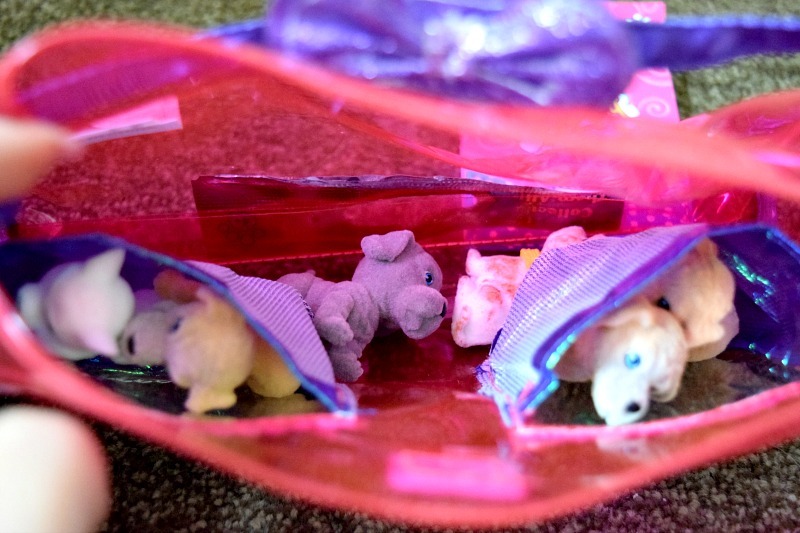 Gracie was sent a few of the blind bag packs along with the soft carrier to review. 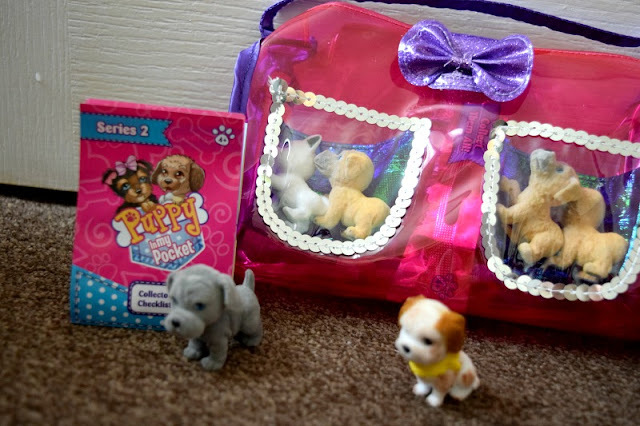 The carrier is just like a handbag/purse with some little pockets which can be used to show off a few of your favourite puppy in my pocket figures. The bag is also spacious enough to fit a fair amount of the small dogs inside for storage. There are three different handbag/purses to choose from or collect. Each blind pack contains one puppy figure and it is a total surprise to find which one is contained in the bag. Of course, Gracie loves to show all of her toys in action and so made an unboxing video and shows us all the features of the bag itself. She also opens her surprise bags in the video so you can watch her reaction when she finds she gets three of the same puppy! Puppy in my Pocket is a great, fun, collectible toy for young boys and girls and will be followed very shortly by Kitty in my Pocket. The puppies are brilliant quality and are all flocked to give them a real furry feel. Puppy in my Pocket is available in most major toy retailers and online stores.